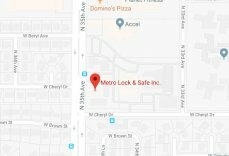 Locking Gates Phoenix | Local 24 Hours Service | Metro Lock & Safe Inc.
Do You Need Secure Locking Gates? When you’re looking for added security at your home or place of business, one great way to protect the perimeter and control access to your facility or home is with locking gates in Phoenix. If you’re in the market for a security gate for the first time and you’re not sure how to choose the right one, the experienced technicians at Metro Lock & Safe Inc. can provide you with information and recommendations based on your needs. There are a wide variety of options for choosing what kind of locking gate you get, and the one you ultimately decide on will depend on your specific needs. The most common configurations for locking gates are swing gates (either vertical swing or horizontal swing) and wheeled rolling gates. The first step to identifying which gate you need is planning out where you want to put the gate. Swing gates will require additional clearance, either above or to the side of the gate so it has plenty of space when it swings open. For larger openings or areas where you cannot accommodate a 180 degree swing of the gate, a rolling option may work best. 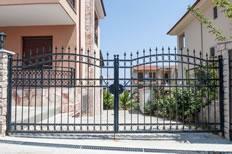 You should also identify what type of material you prefer–gates come in a wide variety of metals with varying levels of security and strength, from aluminum to heavy steel, and several other options. Next, we can help you choose from different locking and control mechanisms, whether it’s remote access, key card access, a physical key, or some other security system. Installing a locking gate can help secure the perimeter of homes or businesses, giving you peace of mind and convenience on its own, or as part of a larger security network. 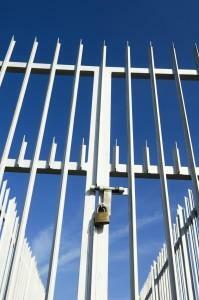 Call (602) 663-9828 or Contact Us for locking gates in Phoenix.